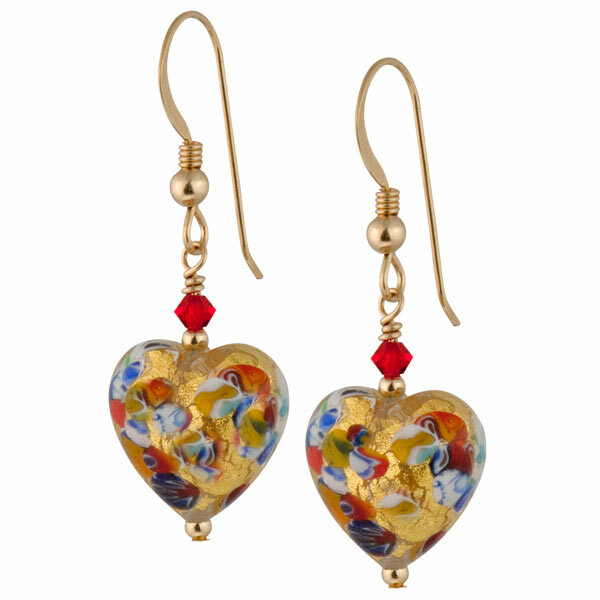 Our colorful Klimt Heart earrings are made with genuine Murano glass and accents of millefiori, 24 karat gold foil and Swarovski crystals. 14/20 gold-filled components are used throughout. Approximately 1 1/2 inches in length. Made with genuine Murano glass.